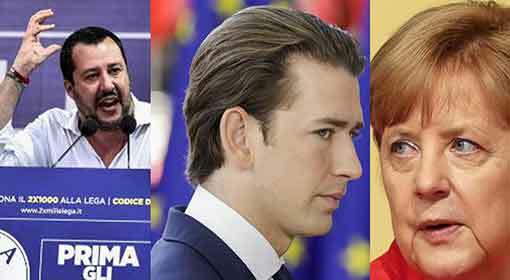 Vienna/Berlin: Austria and Italy have fired salvos of criticism on the new proposal by Angela Merkel regarding the migrants. 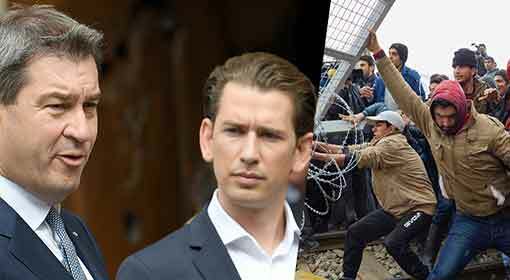 Austria retorted that it will not bear the cost of the ‘welcome culture’ imposed by Germany onto Europe and ordered additional security deployment along its borders shared with Germany, whereas, the Italian government has indicated closing the border with Austria. The internal differences in Europe are once again on the anvil with this show of aggression by Italy and Austria against the proposal by Germany. The EU Summit held last month in Brussels failed to arrive at any concrete conclusion to the migrant issue. 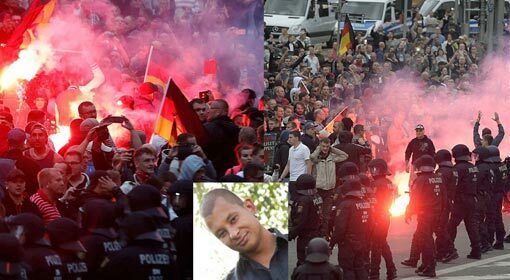 This had threatened Chancellor Merkel’s government in Germany. 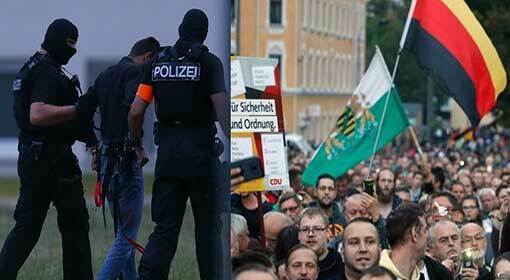 However, Merkel retreated before the aggressive demands of the coalition party in order to save the government. 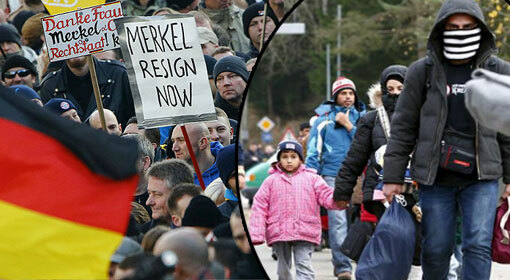 As a compromise, Merkel took the decision to stop the migrants on the German borders and expel the illegal ones from Germany. 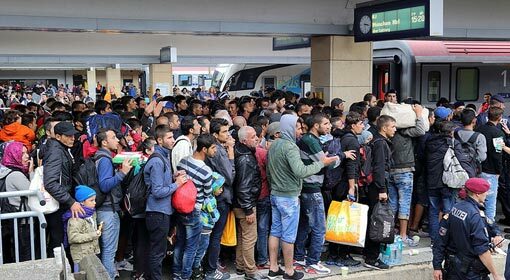 This decision envisaged stopping the migrants coming through the Austria-Germany borders and sending the illegal ones in Germany to other European countries including Italy. 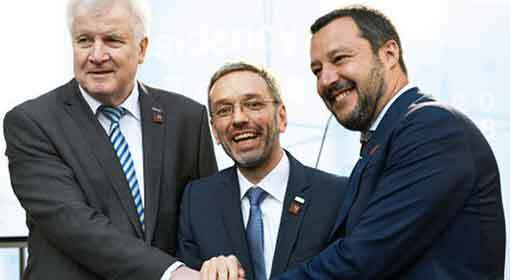 Severe reactions have emerged from the European countries about this compromise worked out by Merkel to remain is power, without taking the other countries into confidence. 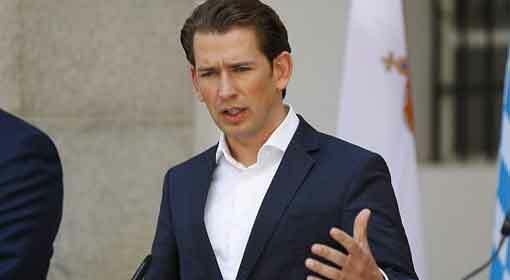 Austrian Chancellor Sebastian Kurz warned that his country will be deploying additional security agencies for the safety of its borders shared with Germany. He also warned that this unilateral German decision will have negative effects on the Austrian people. Austrian Interior Minister, Herbert Kickl also targeted Chancellor Merkel. ‘The policy to welcome outsiders into Europe has failed and we cannot be expected to pay the price for that,’ warned Kickl. Following Austria, Italy also fired salvos of criticism at the German decision. 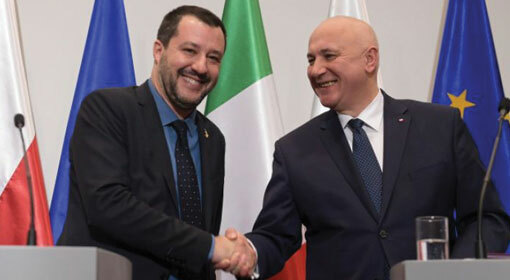 Italy was ready to immediately impose controls over the migrants in the ‘Brenner Pass’ border area, reprimanded Italian Interior Minister, Matteo Salvini. He clarified that this would in fact be in Italy’s interest. A German newspaper claimed that the repercussions of Chancellor Merkel’s decision, taken for her own political benefit, may be seen in other European countries too and this might result in the Schengen scheme, known as one of the fundamental principles of the European Union, being scrapped.